The EE Mobile Series Clash Royale finale, part of a 3-stage competition organized by ESL, featured Ross Video’s technology for the graphic control of the LED panels that were used. On 20th January, London’s BT Studios housed the most expected moment of the competition: the live final of the EE Mobile Series Clash Royale. 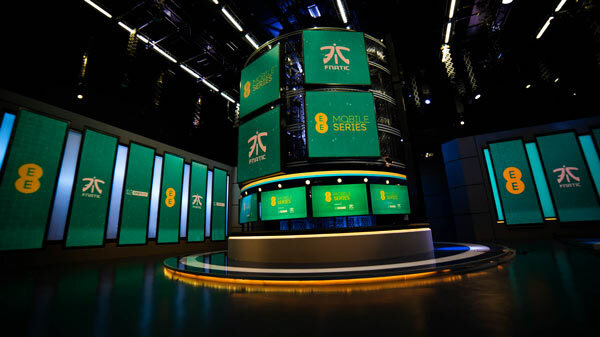 ESL, together with BT Studios, built a dynamic physical set based on a large number of LED displays that were controlled by Ross Video’s XPression Tessera SE, a real-time multi-display graphics designer and controller software. This hasn’t been the biggest challenge so far for XPression Tessera SE: it was originally created for the breathtaking halo screen of the Mercedes-Benz Stadium (Atlanta, Georgia), venue of the latest Super Bowl game. It is also used at the Adelaide Oval stadium of Australia or at the USTA Billie Jean King National Tennis Center of New York. “ESL is one of the world’s leading eSports brands but we’re in a highly competitive market for eyeballs. Tools like XPression Tessera help our broadcasts to really stand out and give us a creative edge as we try to excite our audience and keep them entertained” said James Dean, CEO of ESL UK.